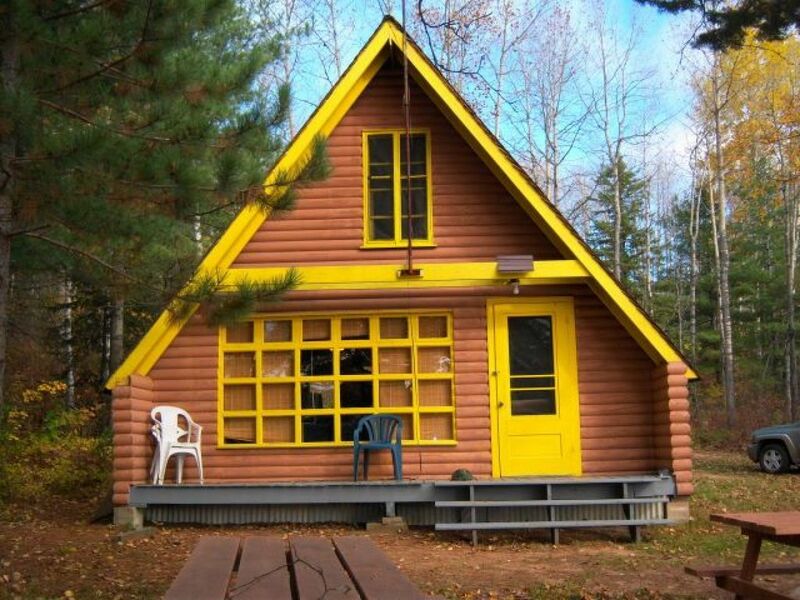 This cottage rental is located on Lake St. Peter, approximately 30 minutes to Bancroft and 10 minutes to Maynooth. The interior is open and is very basic with one bedroom on the main floor and two bedrooms upstairs. There is also a 3 piece washroom on the main floor. There is a grassy area around the cottage and then trees for privacy. A few steps take you down to the lake and the water is a shallow entry and slops to approximately 3 feet at the end of the dock. Note from owner: The swimming conditions are wonderful...typical northern lake, with a gradual slope to a drop off past the end of the dock. The bottom starts out pebbly (smooth stones, no sharp edges) and turns sandy and a bit muddy the farther out you go. The area surrounding the dock is free of weeds, though there are weeds along the uncleared shorelines. We've been told by renters in the past that Lake St. Peter is one of the cleanest lakes they've ever been in.